This article acknowledges how to Combine Print and Digital Marketing Campaigns. While there has been a rise in digital marketing in recent years, it is important not to neglect print marketing. Print marketing still offers many great benefits. Some of which cannot be replicated in digital mediums, such as tangibility. In recent years print marketing has been overlooked. In some cases shelved by businesses when promoting their business. However, print marketing can grab the attention of your customers in a way digital is unable to. It is important that you consider both print and digital marketing methods when promoting your business. And why you should explore ways to combine to two powerful marketing methods in your overall marketing strategy. Combining print and digital marketing methods into your marketing strategy can yield great results. When combining the two methods it is imperative they not only complement each other but actually work together. Let’s take a look at how you can combine your print and digital marketing campaigns. 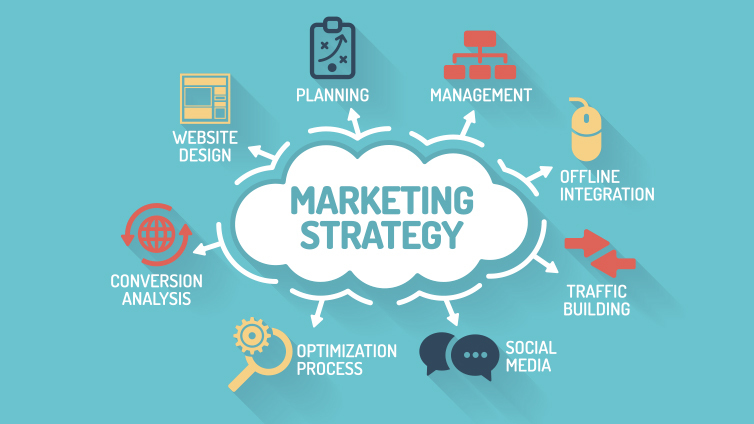 To ensure you get the maximum outcome from your marketing efforts it is important to consider using a variety of marketing methods. From email campaigns to direct mail and social media to leaflets. Adding QR codes to print media to drive people to social media channels or your website. Drive direct mail sign ups using digital channels such as email or social media. Use your print media to remind people to sign up for your emails or follow you on Facebook. It is also important to ensure your campaigns complement each other. Not only in their design but also in the language you use, your tone of voice, your messaging and your branding. Make sure your branding is applied consistently across all marketing channels from your website, print media and company stationery. Consistent branding helps your customers identify and recognise who you are. Whether they are opening an email or receiving a leaflet through their door, it is important that they should know who the communication is from in an instant. This is typically achieved by using your company logo and brand colours prominently in all marketing materials. It is also imperative that your messaging is consistent with special offers to product information. Make sure your message is the same. If messages are not aligned it is confusing for the customer, which will negatively impact on the results of your marketing campaign. Knowing who your audience is and where you can find them is key to any marketing campaign. When combining digital and print it is important you are focusing your efforts in the right places to reach the right people. For example, if your target demographic is females aged between 18 – 65 you would want to consider targeting the younger end of the audience with digital marketing. And the older end of your audience with print marketing. Understanding how to reach your audience and the best methods for achieving this will help you get the most from your marketing budgets. This will also achieve the best results from your digital and print marketing campaigns. At Blackberry we use our expertise in both digital and print marketing to help your business get the best results. We’ll help you reach and engage your audience using digital and print marketing methods that complement each other and work together. If you have any questions or what to know what Blackberry Design can do for your business. Get in touch on 01527 517309 or fill in our contact form.